We offer a range of courses designed for acupuncture practitioners. Facial Enhancement Acupuncture, Facial Enhancement Jade Roller Massage and Micro Needle Therapy courses are run by Paul Adkins, the Founder of Facial Enhancement Acupuncture. 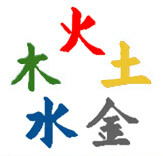 The Five Element Acupuncture Theory course is taught by Michael Baker. To find out more about each course that we provide and to enrol, please view our programme here.